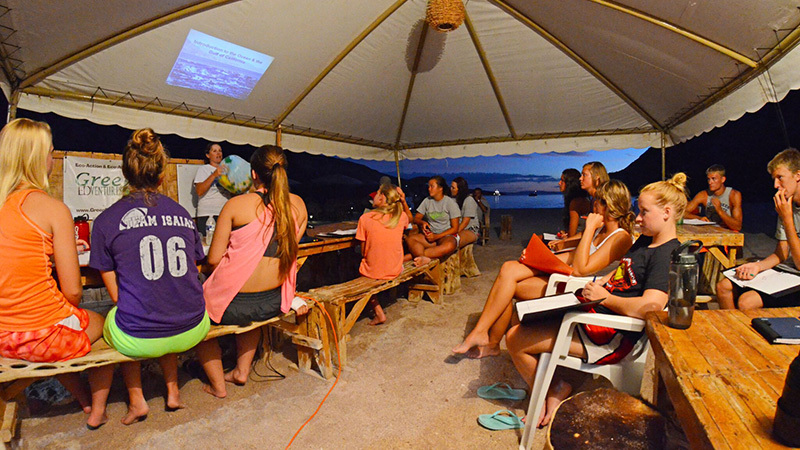 Teachers and students, join us for an unforgettable Sea of Cortez marine biology spring break trip.. Snorkeling day trips combined with student centered research projects, and evening presentations will teach young adventurers about the ecology of the Sea of Cortez, and ways to protect the world’s waters no matter where on Earth they live. 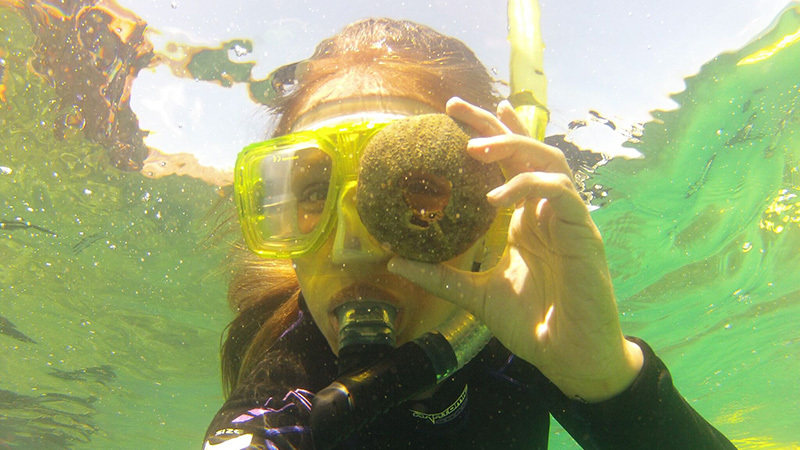 Students will explore a variety of habitats from shallow bays, rocky reefs, coral reefs, and even open water. including amazing encounters with wild sea lions and whale sharks. 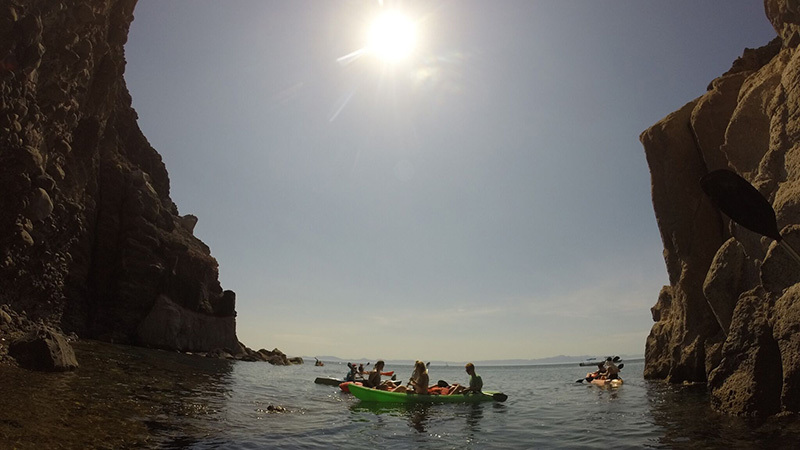 Topside adventures include kayaking and various hiking. 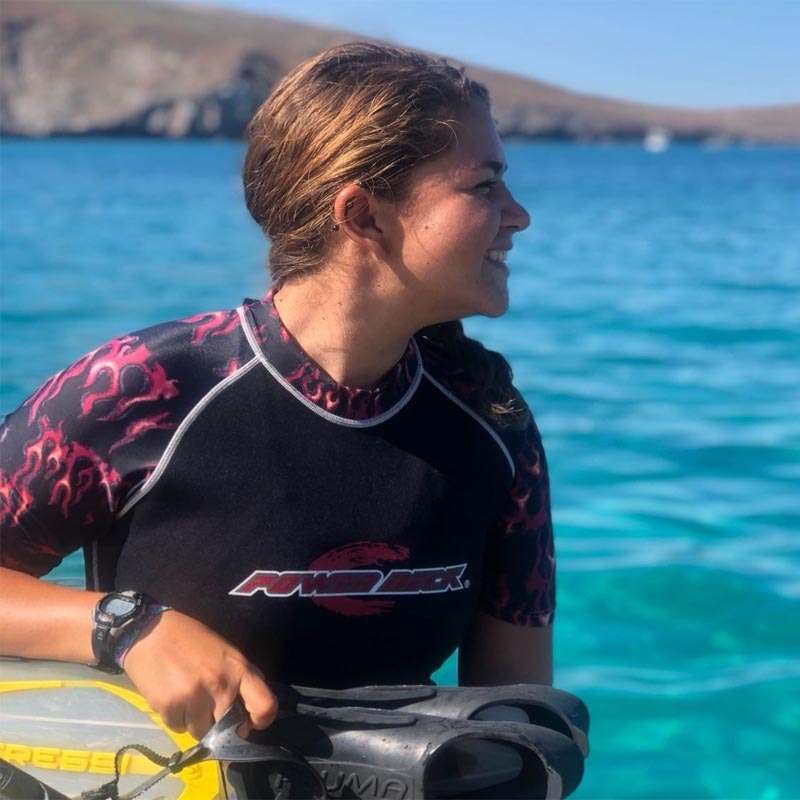 Hands on conservation projects such as coral reef restoration, REEF fish surveys will make students active participants in helping in the conservation of the Sea of Cortez. 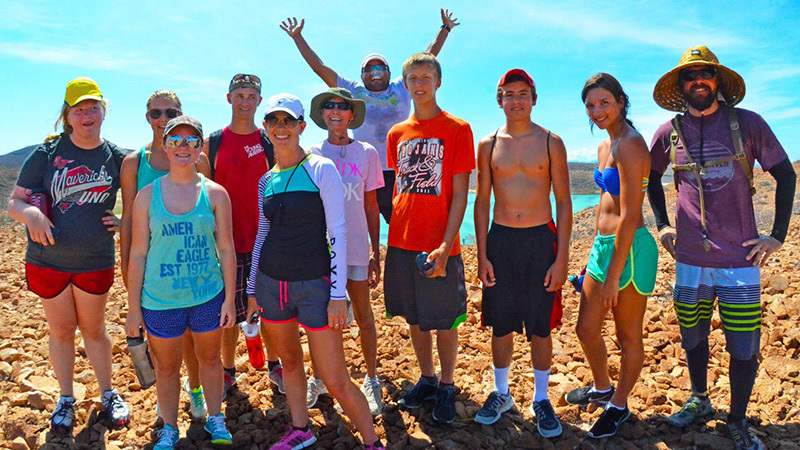 Why the Sea of Cortez Marine Biology Spring Break Trip? Additional, a visit to La Paz, Mexico in February – April gives us the opportunity to have amazing interaction with Gray Whales at Magdalena Bay. Here, whales give birth before heading back to Alaska. The babies are like curious puppies coming right up to our boat so close that you might be able to touch (and kiss) them. This is an educational adventure that most people only dream about. Your friends won’t believe your pictures. Dive in with 500 wild and playful wild sea lions. 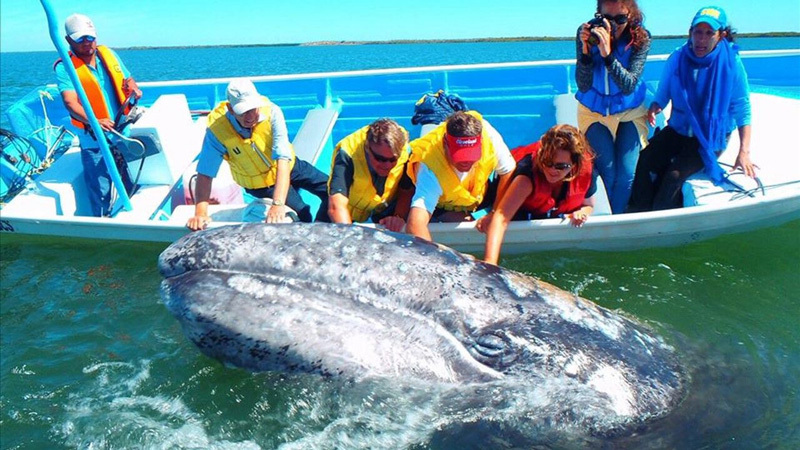 Visit the Gray Whales of Magdalena Bay for an unbelievable whale watching experience. 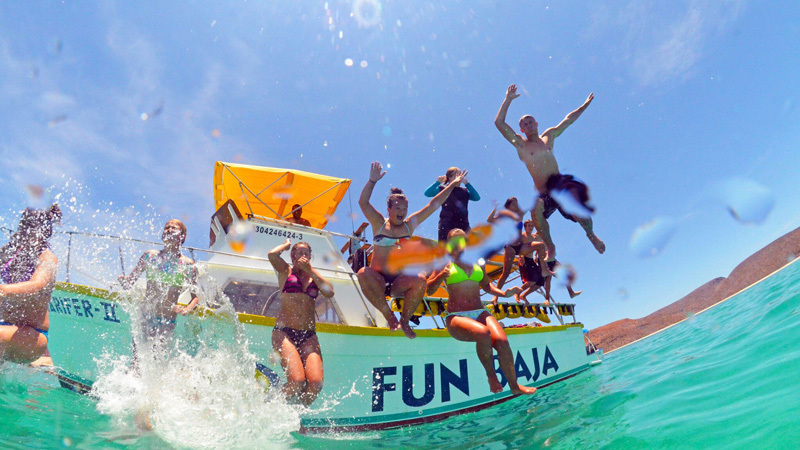 ►Day 1: Arrival to San Jose del Cabo, journey to Espiritu Santo Island. The Cross Island Hike is a 2.5 to 3 hour round trip hike which is relatively flat with a few boulders to scramble up or slide down. 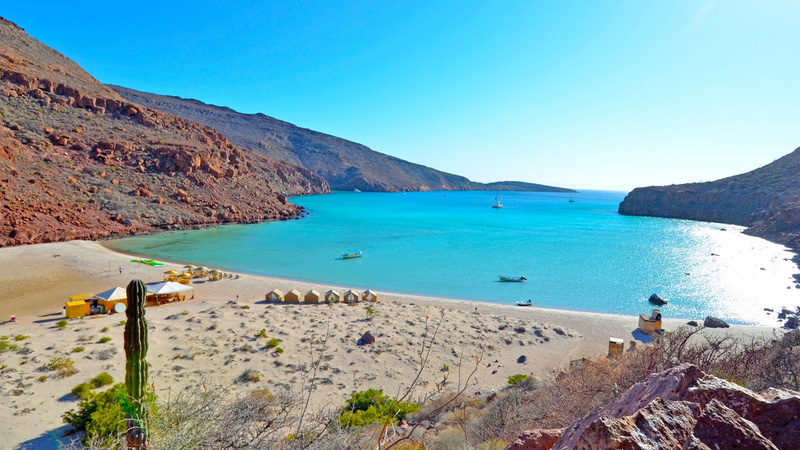 It terminates at the opposite side of Isla Partida and reveals stunning views of the eastern side of the island. 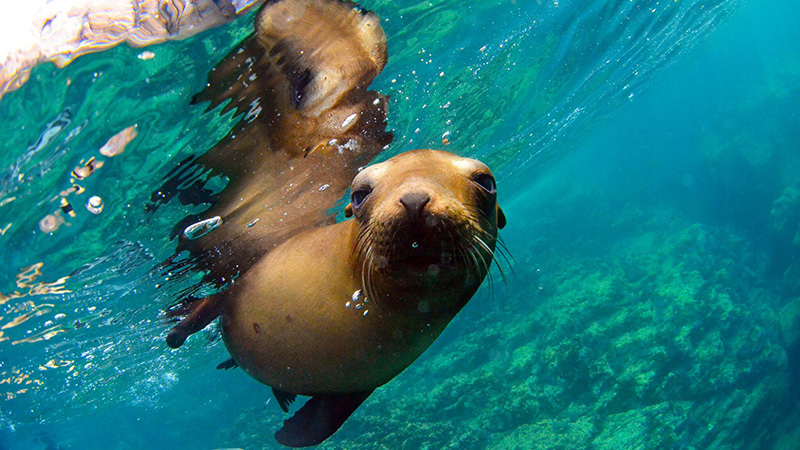 Get up close and personal with our favorite underwater “dogs.” Named the friendliest sea lion colony in North America, Los Islotes is the best place to interact with them in their natural habitat. They dart past you, nibble on your fins, and get whisker-to-dive mask with you for great photos and videos, too. We return to Los Islotes to explore other habitats for those who want a little more time with the sea lions. SCUBA divers and DISCOVER SCUBA divers will have a chance do their dives at this time, too. 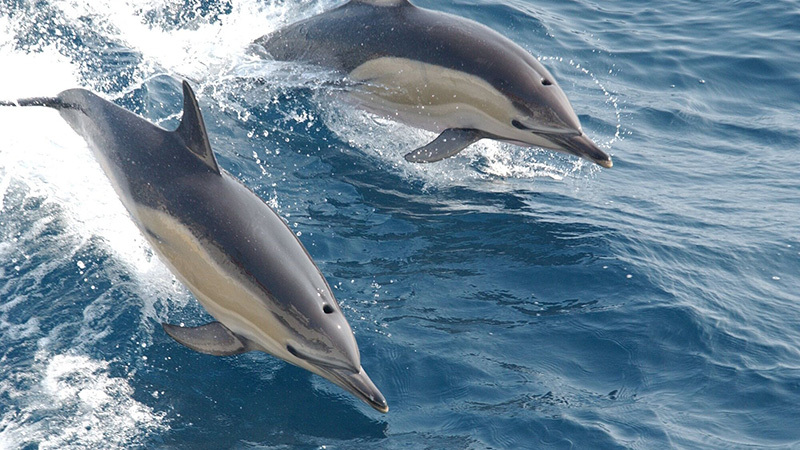 There are many different habitats around Los Islotes, we may visit several times. On the North side of the island is a shallow reef of hard and soft corals. 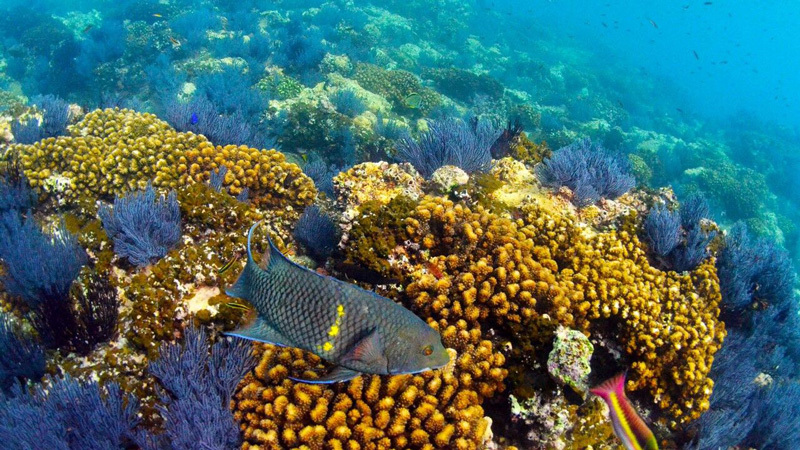 The water is so clear that the sunlight brings out the natural colors of the corals and fishes. It is so easy to take photos here with even the most basic of cameras. At the arch, large boulders the size of cars, are piled on the bottom forming habitat for very large groupers, eels, and Amarillo Snappers. Bright Orange Cup corals, barnacles, tube worms, and other sessile inverts cling to the rocks. This site will be your favorite for the week, if not your favorite for life! 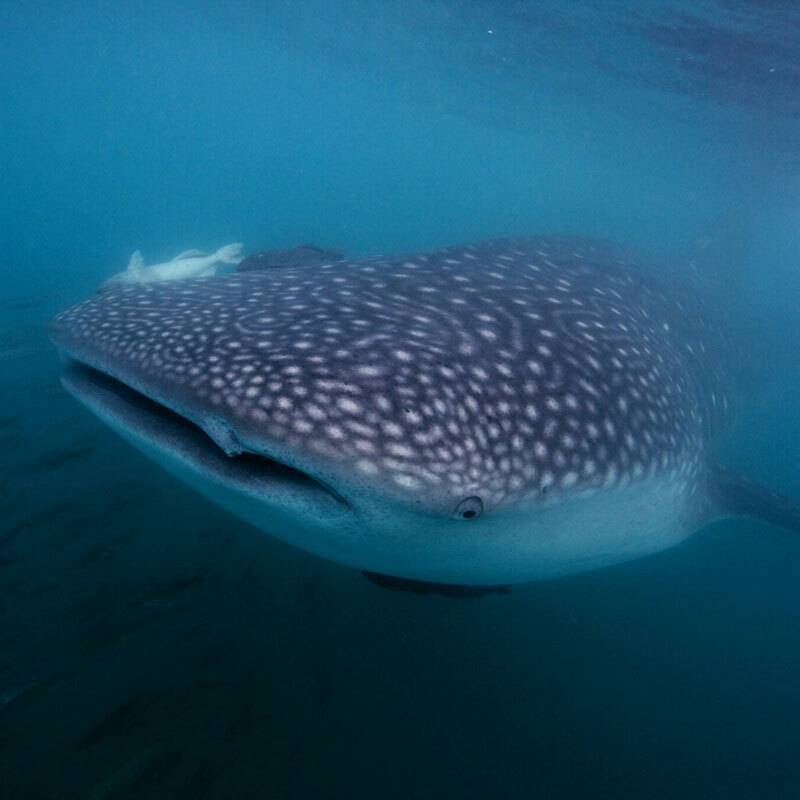 We’ll spend half a day searching for whale sharks in the Bay of La Paz where they are typically found in the plankton-rich waters. 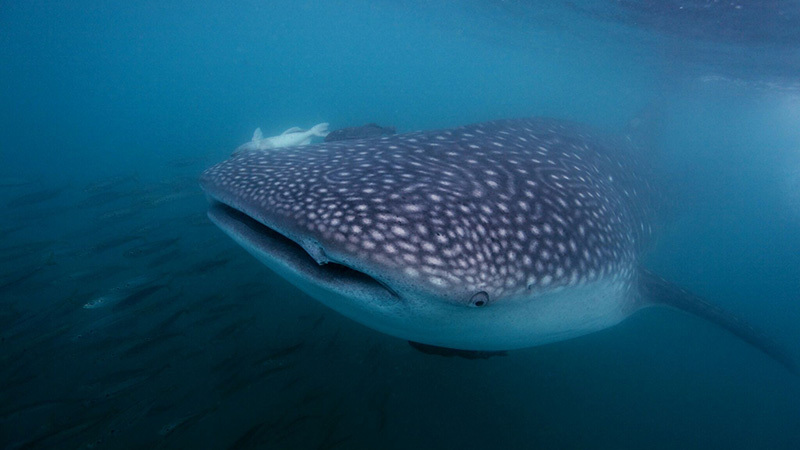 The boat will position you in the whale shark’s path. When you dive master says go, jump in and follow the whale shark for as long as you can keep up. It is a humbling experience to be by such a large creature. Whale sharks are the largest fish in the world. They can reach up to 60 ft in length. These gentle giants eat plankton, the smallest members of the marine food chain. We will drive 3 hours north, along the Pacific Coast to the town of Lopez Mateos and overnight here. After lunch, we will drive back to La Paz. 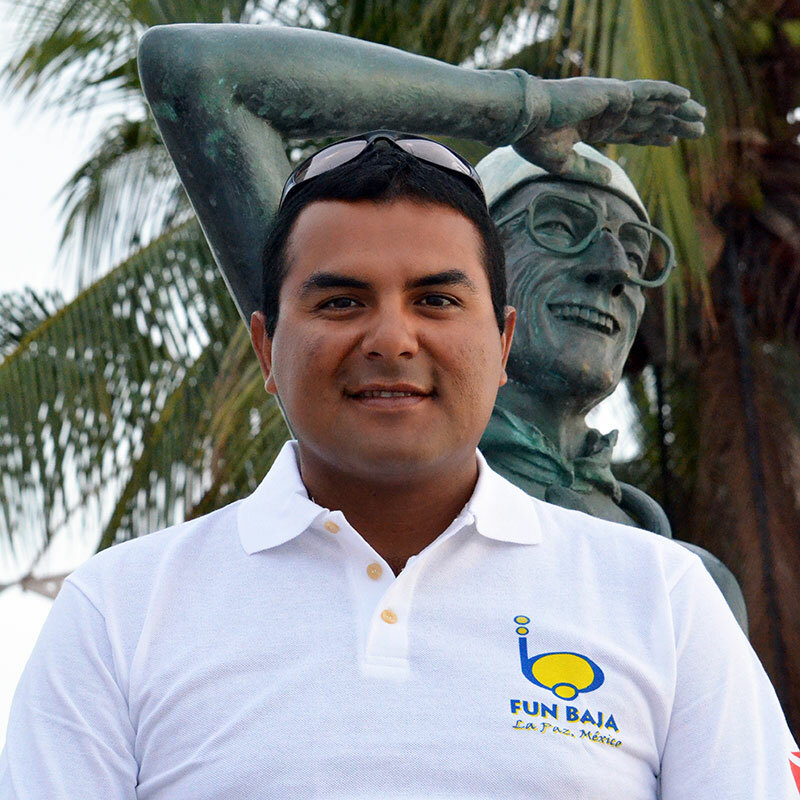 We will visit some of the cultural attractions of La Paz including the Whale Museum & Anthropology Museum. Then shopping for souvenirs along the malecon. Free time at the hotel and finish up research projects. Group meals from dinner on arrival day, to breakfast on departure day. Price: $2195 plus airfare and gratuity (Approximately $2950 per student). Installments: Yes. Payable util 30 days prior to travel. A passport is required for travel to Mexico.